Electricity is an ever-present part of our lives that must be treated with respect. Be sure you practice safety precautions and teach others in your family, especially your children, to do the same. Treat every wire as if it were “LIVE” and “Dangerous.” Never assume a line is “dead”. Don’t raise any tall objects without looking up. A ladder, antenna, piece of pipe, even wood, can be deadly if contact is made with an electric line. When installing any radio or television antenna, position it away from power lines. A safe distance is twice the height of the antenna and mast assembly. Work only in dry weather and never on a windy day. If an antenna does start to fall, let it go and stay clear. Don’t touch it until you’re sure it’s not touching any wires. Don’t load or unload trucks beneath or near power lines. Call us before you try to trim any trees near power lines. Do not plant trees under power lines. Never fly kites or model airplanes near power lines. If one is caught in a line or nearby tree, leave it alone. If a power line hits your car while you’re in it, stay inside the car and wait for help to arrive. If the car catches fire, jump clear without touching metal and the ground at the same time. • Manufacturer’s instructions for power-operated equipment such as the garage door, generator, etc. • Your local Duck River EMC office phone number and your account number to report an outage or check on the status of power restoration. 1. There is a problem on the DREMC lines. 2. The transformer serving you has tripped. 3. Your main fuse or circuit breaker has opened, or you have internal wiring problems. 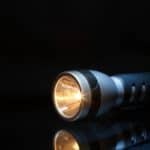 Before calling DREMC to report an outage, first try to determine if the problem is in your house. If we send a serviceman out, and the trouble is on your side of the meter such as a blown fuse or tripped circuit breaker, we must charge you for the trip. Check to see if your neighbors’ lights or street or security lights are still on. If so, check your main electrical panel fuses or circuit breakers. 2. If none of your lights or appliances work, call your local DREMC office at the number listed on the contact sheet included in this packet of information. 3. If only part of your lights are off, check branch circuit breakers by switching them OFF, then ON. 1. Buy the proper size fuses for main and branch circuits in your home, and keep replacement fuses on hand for emergencies. 2. Pull out the main fuse block and replace, trying them one at a time. You generally cannot tell if a cartridge fuse is blown by simply looking at it. If you are satisfied the trouble is on DREMC lines and not in your house, call your local DREMC office. If you observe flashes along the line, trees down in the wires, wrecks, etc., please report these details when calling to help speed power restoration in your area. If a power outage is widespread, our phones may be busy. Please be patient, and call again. Give your name, member account number, street address and phone number. Do not call 911 unless there is a life-threatening emergency. • Stay away from all downed power lines or sparking equipment, and keep children and pets away from fallen lines and anything the lines may touch. 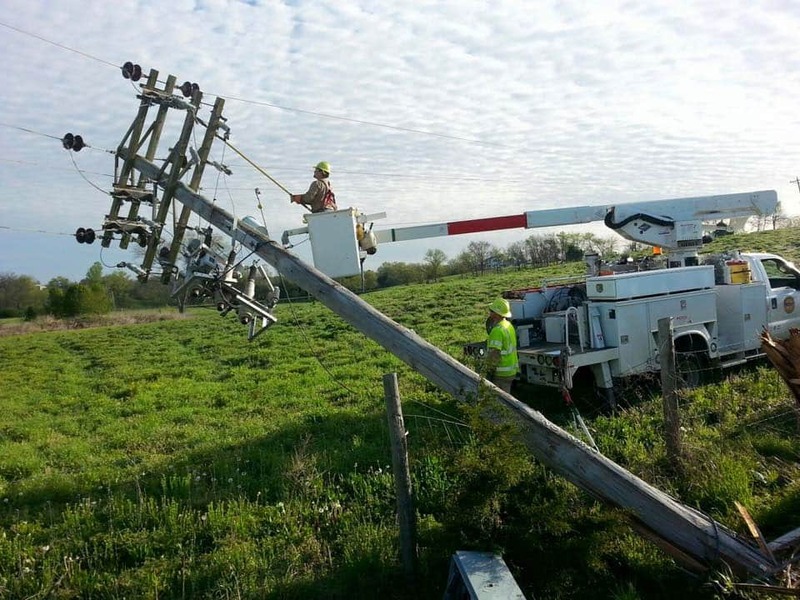 • Never remove debris that’s within 10 feet of a power line. • Unplug major appliances to protect them when the power is restored. • Leave a light turned on so you know when power is restored. • Refuel heaters, lamps, and generators outside, and stay away from any flames or sparks. Wipe up fuel spills immediately. • Let Duck River EMC know if you’re using a generator – this protects you and our line workers as they work to restore power. For generator safety tips, please see the reverse side. • Never operate lanterns, heaters or fuel-fired stoves without proper ventilation. • Never burn charcoal indoors. It releases poisonous carbon monoxide. • Do not let children carry candles or oil lamps. Always unplug small electrical appliances after using them. Even when the switch says “off”, power is still present, and appliances can electrocute you if they contact water. 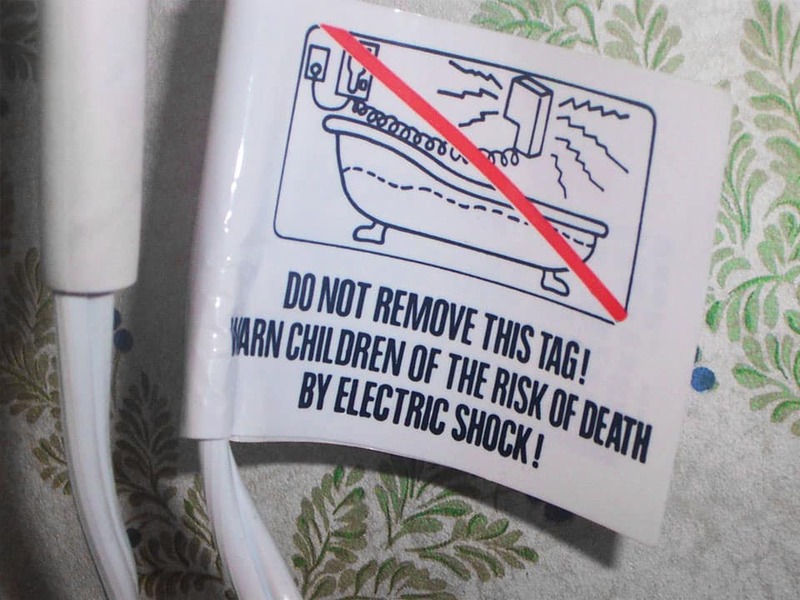 Never use an electrical appliance near a tub or sink. If an appliance falls into water, do NOT reach for it. Immediately unplug it from the wall outlet. Make sure appliances and extension cords are NOT frayed. Replace them – do NOT patch. Do NOT plug too many appliances into one socket. Wires may overheat, destroy insulation, and cause a fire.